Rapid growth for SaaS businesses is important, not just to scale, but also to demonstrate traction to investors. However, B2B SaaS companies invest a massive amount of money in customer acquisition. Yet often companies spend far less on renewals and customer success. The renewal is where the profit lies. So, what’s negative churn and why is it so important that we wrote a blog post about it? Negative churn is the pinnacle of customer success and should be the goal of all subscription businesses. Negative churn occurs when the dollars generated from renewal upsells (increased value of subscriptions) is greater than the number of subscriptions lost (non-renewals). Day After Sales introduces the customer to their Customer Success Manager (CSM). Two Weeks After The CSM reviews the customer’s usage of the product and calls with a check-up. Two Months After The CSM continues to review the customer’s usage of the product and reaches out proactively if necessary. Six Months After The CSM continues to review the customer’s usage of the product and reaches out proactively if necessary. Three Months Before CSM reviews the account for opportunities to increase licenses or move client to higher level of license. At this stage, begin seeding information (like case studies, use cases etc) that outlines the benefits without explicitly discussing the upsell. Two Months Before The dedicated CSM reaches out to initiate the discussion around the renewal and reminds the client of the renewal date. One Month Before The CSM arranges a meeting with the customer about the renewal. Two Weeks Before The deal should be closed at this stage. If it isn’t, the leadership team is notified (as part of a weekly review). Variable: Product backend automatically alerts CSMs if a customer’s login or usage falls below a certain threshold. If no one owns renewals, they will not get the attention they deserve. That being said, most salespeople who are really good at closing business, are really bad at managing the renewal process. The skill set required to keep an existing customer happy is different from the skill set that’s required to close net new business. Of course, there are some exceptions to this rule. However, you can’t design a scalable process around those outliers. Each customer should be passed from Sales to Customer Success after the sale is closed. 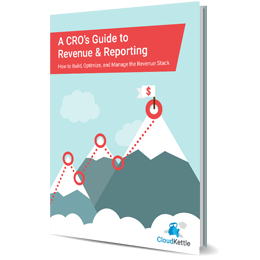 Most CRMs aren’t built to track renewals so doing so requires some customization. That means you need to create mandatory fields in your CRM to ensure your organization knows when customers are due to renew. Renewable Product (Yes/No): If possible, add a field to each product indicating if it is renewable or non-renewable. For example, annual licenses are renewable. Configuration fees are not. Renewal Date: Add a custom date field to Opportunities that shows when a license is set to renew. Renewal Stage: Create a drop-down for renewal opportunities that better reflects the stages of a renewal (in contrast to the traditional sales stages the CRM provides off the shelf). Companies, especially fast-growing SaaS companies, tend to focus on new business – winning new logos, increasing market share, creating momentum. However, as unsexy as they are, renewals and upselling will ensure future growth and success. There is a lot of debate on whether providing commissions on renewals is smart. How you reward renewals is a decision that will have to be made by your organization (read more on renewal commissions here). 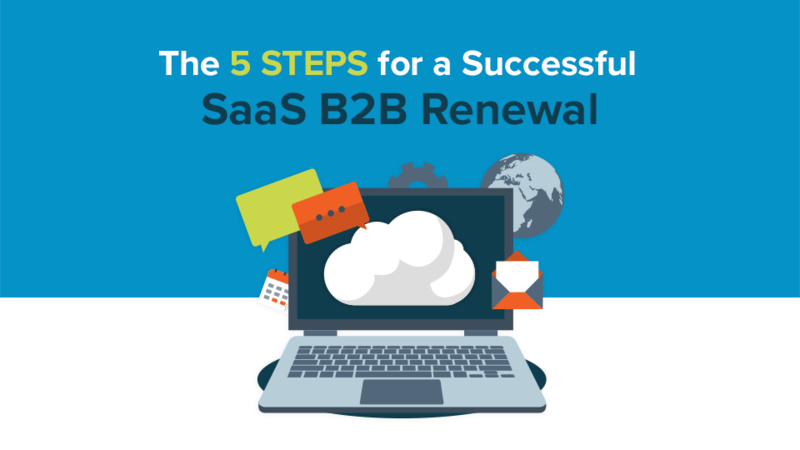 Renewals at B2B organizations can’t be taken for granted. The amount invested in acquiring each customer means there is too much at stake. Renewals need to be treated with the same respect and gravity as sales. That is the reality of the SaaS business model. If you enjoyed this read you may also like our post on Negative Churn: The Pinnacle of Customer Success.